How we relate to our family is how we relate to the world. We cultivate an inner sense of safety and ability to connect based on our family experience. Therefore, when we nurture balance and harmony in the family, we also work to create more compassionate and aware communities, states, nations and the world as a whole. For families seeking more love, connection and peace, I offer experiential family therapy that inspires healing, attachment, and the ability to communicate with authenticity and compassion. In a sanctuary of safety, we will explore your family’s individual and collective strengths and challenges, limiting beliefs and propel intimacy through present-focused interventions, exercises and communication. 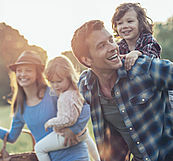 Next Breath family therapy honors diversity and welcomes whoever you call family on a journey from separation to connection, from dysfunction to wholeness.